All that glitters is not gold, unless when it is! The amount of gold gleaming in the streets of Paris is just striking! 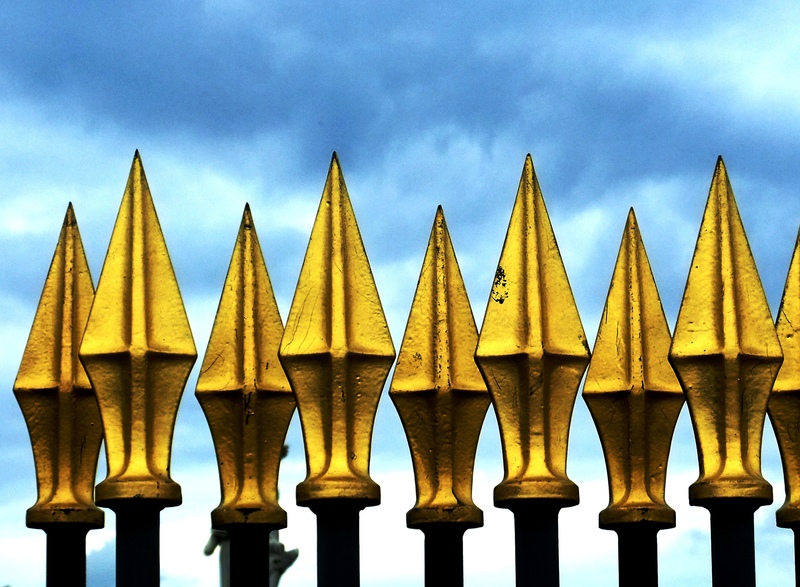 Here you can marvel at the pointy glitter of a golden spiked fence, a typical Parisian specimen.